When you want to make a statement, don’t be subtle: Shout it out. A PVC banner broadcasts your message loud and clear. 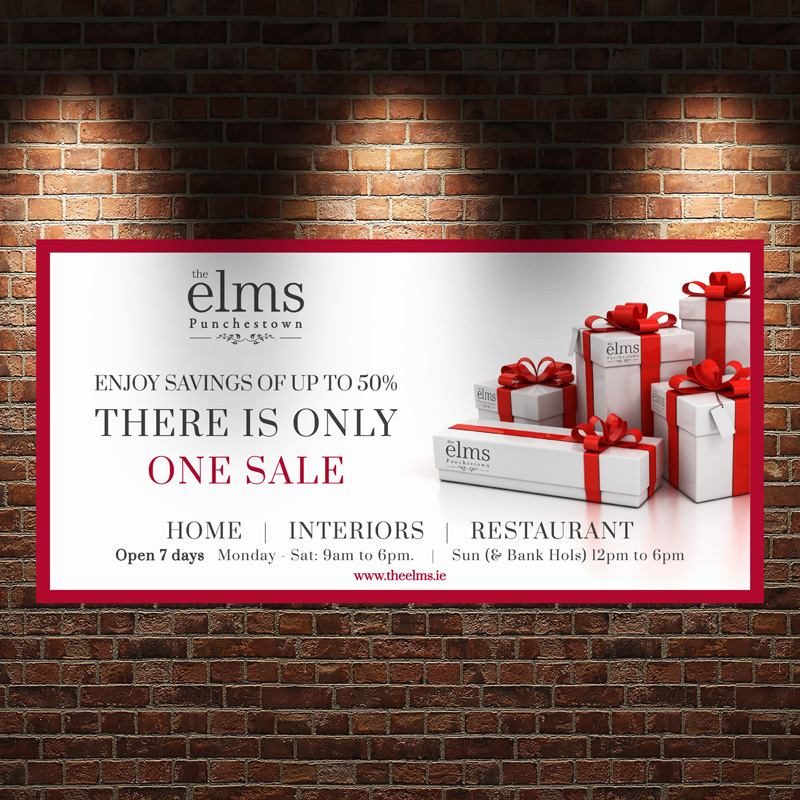 Whether it’s a massive sale, a major win, or you just want to give your business that extra boost, talk to us about creating the right banner.Our digitally printed PVC outdoor banners are surprisingly affordable, waterproof, UV resistant and available in a range of finishes. For your convenience, we punch eyelet holes in the corners so you can attach cord or rope. PLEASE NOTE: BANNERS ARE ONLY TEMPORARY SIGNAGE. WE CANNOT BE HELD RESPONSIBLE FOR ANY FITTING OR INSTALLATION ISSUES. THEY SHOULD BE TAKEN DOWN IN WINDS EXCEEDING 30MPH.